This medication is used along with counseling and support to help people who are alcohol dependent not drink alcohol. Acamprosate works by restoring the natural balance of chemicals in the brain (neurotransmitters). Before starting this medication, you should no longer be drinking alcohol. Acamprosate has not been shown to work well if you are still drinking alcohol when you start taking it. Read the Patient Information Leaflet if available from your pharmacist before you start taking acamprosate and each time you get a refill. If you have any questions, ask your doctor or pharmacist. Take this medication by mouth with or without food as directed by your doctor, usually three times a day. Swallow the tablets whole. Do not crush or chew the tablets. If you begin drinking alcohol again, continue to take this medication and tell your doctor promptly. What conditions does Acamprosate CALCIUM treat? Diarrhea, nausea, vomiting, gas, stomach pain, loss of appetite, headache, drowsiness, dizziness, constipation, fatigue, weight gain/loss, muscle/joint pain, change in sexual desire or decreased sexual ability may occur. If any of these effects last or get worse, tell your doctor or pharmacist promptly. Tell your doctor right away if you have any serious side effects, including: mental/mood changes (including severe depression, thoughts of suicide), signs of kidney problems (such as change in the amount of urine), fainting, fast or pounding heartbeat, vision or hearing changes, increased thirst. Get medical help right away if you have any very serious side effects, including: stomach/abdominal pain that doesn't go away, black stools, vomit that looks like coffee grounds, seizures. List Acamprosate CALCIUM side effects by likelihood and severity. Before taking acamprosate, tell your doctor or pharmacist if you are allergic to it or if you have any other allergies. This product may contain inactive ingredients, which can cause allergic reactions or other problems. Talk to your pharmacist for more details. What should I know regarding pregnancy, nursing and administering Acamprosate CALCIUM to children or the elderly? If someone has overdosed and has serious symptoms such as passing out or trouble breathing, call 911. Otherwise, call a poison control center right away. US residents can call their local poison control center at 1-800-222-1222. Canada residents can call a provincial poison control center. Symptoms of overdose may include: severe diarrhea that doesn't stop. Lab tests (such as kidney function tests) should be done while you are taking this medication. Keep all medical and lab appointments. Go to all of your counseling and support group meetings. Consult your doctor for more details. 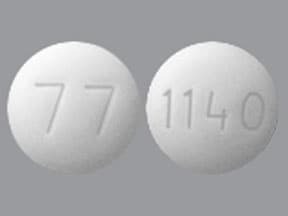 This medicine is a white, round, enteric-coated, tablet imprinted with "77" and "1140". 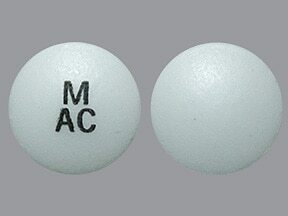 This medicine is a white, round, enteric-coated, tablet imprinted with "M AC". 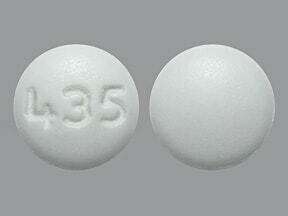 This medicine is a white, round, enteric-coated, tablet imprinted with "435". Are you taking Acamprosate CALCIUM? Are you considering switching to Acamprosate CALCIUM? How long have you been taking Acamprosate CALCIUM?